and select "Choose File" and upload the template you just updated with inventory information and select the "Inventory Only" option. 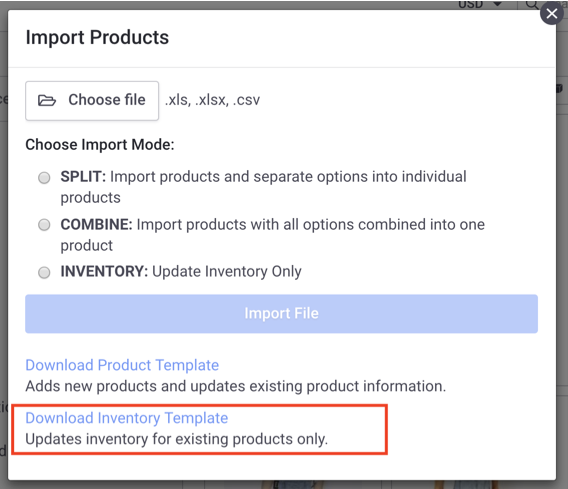 You can also download the Inventory Template to upload inventory numbers for your products. located in the toolbar on the Products Page. 2) Click "Download Inventory Template" to download the file. 3) Open the template and fill out the columns. Enter the product information and inventory count. Save your spreadsheet. 4) Return to the Import Products window. 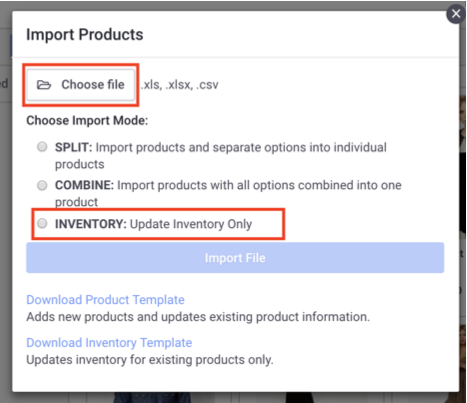 Select the "Inventory Only" option and import your file.